Ricardo Acosta (editor) immigrated to Canada from his native Cuba in 1993 and has edited both documentary and dramatic films that have been shown around the world including: Shooting Indians, A Journey With Jeffrey Thomas (1997); Unbound (1996); Spirits of Havana (2001); The Take (2004); Runaway Groom (2005); Tiger Spirit (2009); and El Juicio de Pascual Pichun (2007). His latest film Herman's House is directed by Angad Bhalla, winner of the 2014 Emmy for best Cultural Documentary. Edwina White (art director/visual development) is one of the publishing world’s most exciting illustrators, having created work for Vanity Fair, Harpers, the New York Times and The Wall Street Journal. Her fine art is represented by Kinz, Tillou + Feigen. She oversees the visual language of the film and creates materials and illustrations. James Dunlap (animator) is an animator and fine artist and Assistant Professor of Art at Bucknell University. Ken Myhr (composer) has written music for more than 100 award winning documentaries, series and feature films and has contributed to more than 100 CD’s and performed on concert stages worldwide including The Royal Albert Hall, Massey Hall, Radio City Music Hall and on David Letterman Show, The Tonight Show and Late Night with Conan O’Brien. His most recent theatrical documentaries are The World Before Her and the Emmy-winning Herman's House. Joe Bini (story consultant) is best known for his long-time collaboration with Werner Herzog, comprising over 20 films in all and extending through narrative films including, Rescue Dawn and The Bad Lieutenant: Port of Call New Orleans, to such notable documentaries as, Little Dieter Needs to Fly, Grizzly Man, Cave of Forgotten Dreams, and Into the Abyss and the 2015 drama Queen of the Desert. Roman Polanski: Wanted and Desired, a film that he cut and co-wrote, won the Documentary Film Editing Award at the 2008 Sundance Film Festival and an Emmy Award for Outstanding Non-Fiction Writing. He won the Prix Vulcain De L’Artiste-Technicien at the 2010 Cannes film festival for We Need to Talk About Kevin. 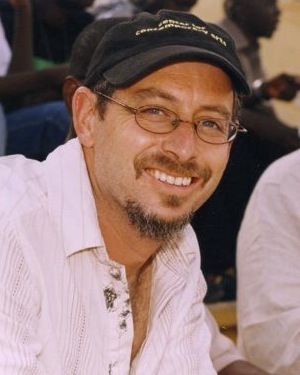 Robb Moss (story consultant) directed the films Secrecy (2008, with Peter Galison) and The Same River Twice (2003), which screened in more than 50 film festivals and 100 theatrical venues around the world, was nominated for a 2004 Independent Spirit Award, won awards in Nashville, Chicago, New England, and Alabama, and was selected by Jonathan Rosenbaum of the Chicago Reader as the best documentary and cinematography of 2003. His films have shown at Telluride, the Museum of Modern Art and Lincoln Center, IDFA, Rio, Jerusalem, St. Petersburg, Warsaw, Sidney, Thessaloniki, Zagreb, and Sweden. He has taught filmmaking at Harvard for more than 20 years. Impact Film Partners (executive producers) finances independent cinema that addresses pressing social issues, bringing together financiers and filmmakers to create great films that entertain and enrich audiences and ignite social change. Impact’s filmography includes the Oscar-winning The Cove and Freeheld and Oscar nominee The Garden, along with Secrets of the Tribe, Family Affair, To Catch a Dollar and No Impact Man. New Mexico Media Partners (executive producers) have served as producers on films including Spoken Word, Bernie and Knuckleball. Chris Jonas (composer) is a composer, intermedia/video artist, conductor and instrumentalist. He is founder of Little Globe, producer of the nationally broadcast documentary Our Time Is Now and recipient of the 2008 U.S. Artists Award. Matthew Cohn (associate editor) is the editor of Through a Lens Darkly , which premiered at the Sundance Film Festival, and The Barrel of the Gun. Miguel Rivera (sound editor) has served as sound or dialogue editor for dozens of films and TV series including; Samsara, CSI and Saving Mr. Banks. Eric Offin (re-recording mixer) has credits including A Small Good Thing, Last Weekend, The Runner, God's Pocket and Lovelace. Galle Ceddo Projects, LLC (production company) was founded in 2008 to create projects that, in the spirit of Ousmane Sembéne, encourage the use of modern storytelling tools to galvanize and liberate the disempowered. It has offices in Senegal and in New Mexico, USA.